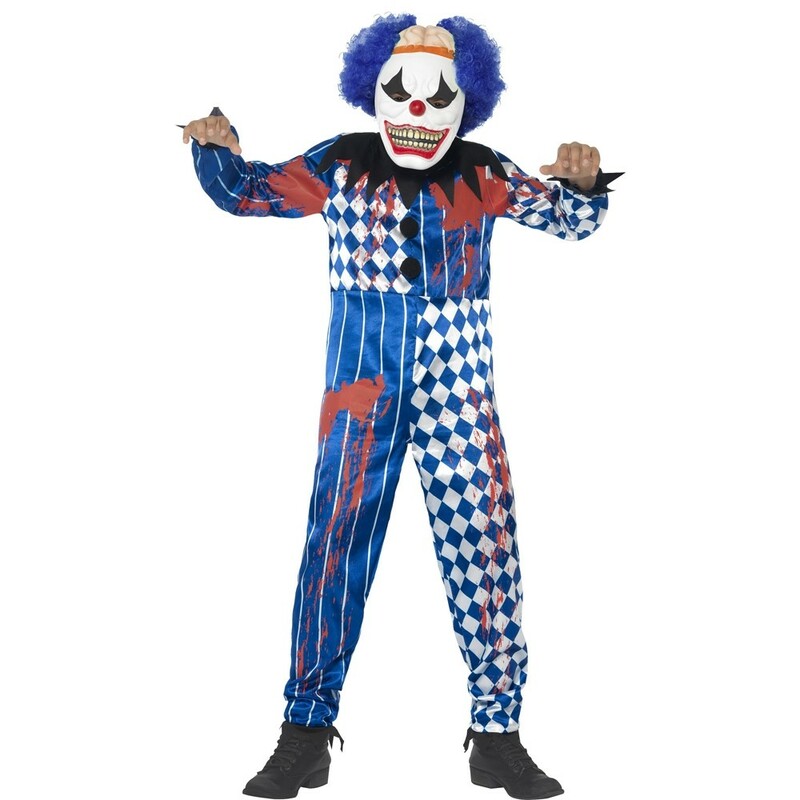 A Kids Deluxe Sinister Clown Costume including a Jumpsuit and EVA Mask – Ideal for Halloween, Circus theme, or any fancy dress occasion. There’s nothing funny about a clown at Halloween, so scare everyone with this Kids Deluxe Sinister Clown Costume. This costume comes complete including a Jumpsuit and an EVA Mask. The Blue and White Jumpsuit has an offset pattern design, with a Zip fastening on the back for comfort. 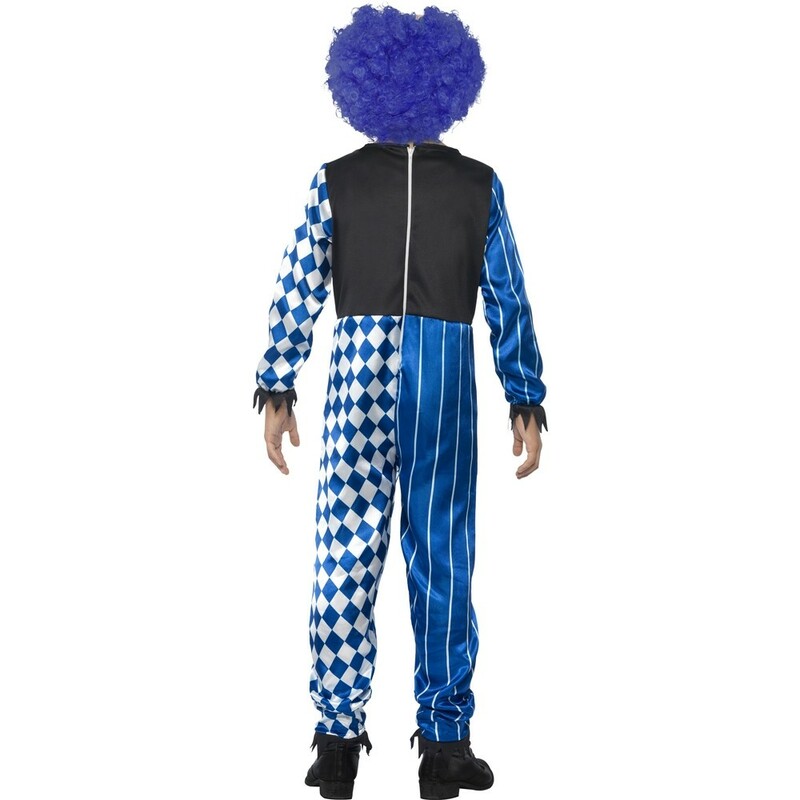 This Kids Deluxe Sinister Clown Costume Jumpsuit also features a matching black jagged collar and cuff detail, with two black pompoms on the front. This Jumpsuit is covered in blood splatters to add the gore to this costume. Complete this Kids Deluxe Sinister Clown Costume with the scary clown EVA Mask, with attached blue wig and brain detail. 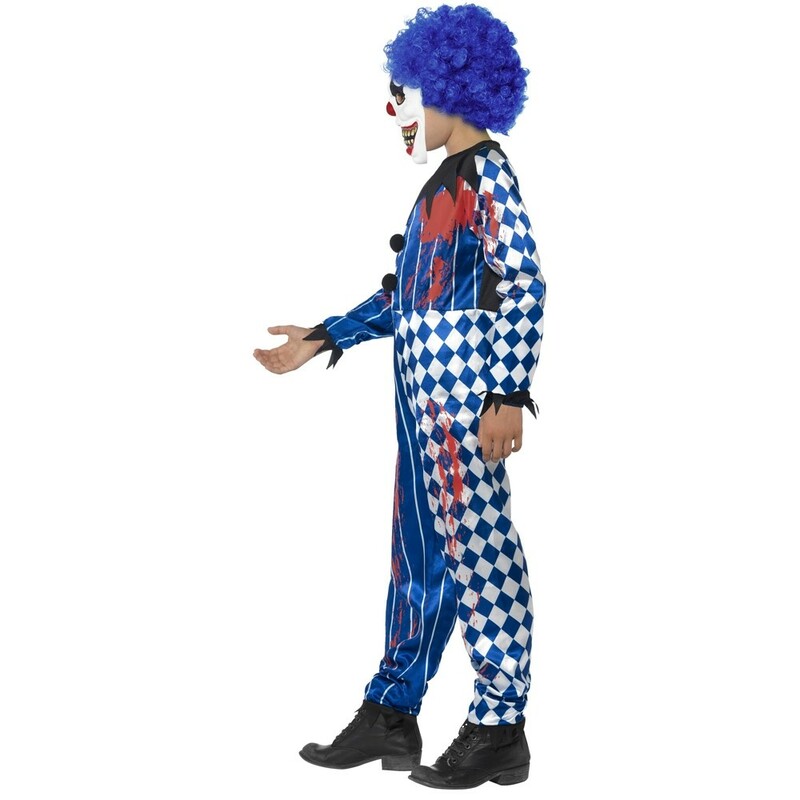 Perfect for Halloween, a Circus theme, or any fancy dress occasion, this Kids Deluxe Sinister Clown Costume will be sure to impress no matter what the occasion. There is only Tricking with this Deluxe Sinister Clown Costume so be prepared for the fright this Halloween! Available in sizes Kids Medium, Large and Teen. 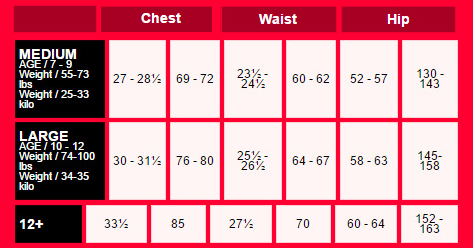 Size guidelines: to fit UK age 10-12 years. A Kids Deluxe Sinister Clown Costume with Jumpsuit and EVA Mask.